Seattle Emerald Flyers (or Steelheads or Emerald Kings). I borrowed the totem design and added the "Seattle Sports Colors" bringing back the original Seahawk color scheme. That's not bad. The Steelhead trout is the official state fish of Washington. Sometimes they are classified as Rainbow trout. You'd think that silver, emerald green and blue could make their way into the league and team's color scheme. What about the Seattle Tridents. Here’s a design by @conceptleagues on Twitter. Originally designed for Portland. This could work for Seattle or Tampa. I like tridents as well. I like Emeralds, but it sounds too esoteric for football. Most of the time Seattle looks toward the ocean or the mountains to find a name, which gives you something like, Seattle Orcas or Seattle Snowcaps. Seattle Sasquatch would be fun. They could do fun marketing in that area. The Orcas would be a great name with some fun logo combinations. We'll see on Saturday what fans think the team name should be when the results of the board's vote comes out. I'll be interested to see what the results are because in 2001 the vote was spot on for the Enforcers. Maybe it'll be spot on for some teams here in 2020? 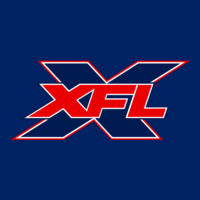 I think Seattle Bombers or Wolfpack would be great names for our XFL team.